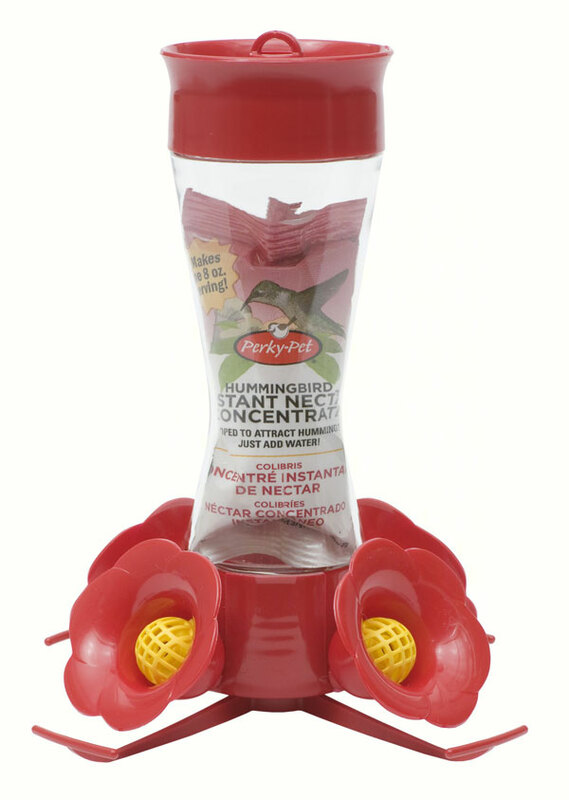 4 Fountain Hummingbird Feeder. Glass Hummingbird Feeder with Perch. Hardened Glass Hummingbird Feeder Bottle. Features four Gloxinia flowers with bee guards. Four Feeding Ports with Perches. 8 ounce Hummingbird Nectar Powder Included.